The New International Version [NIV] of the Bible deceitfully changes the phrase “Son of God” in John 9:35 to “Son of Man.” So also does the satanic Easy-To-Read Version (ERV) and other modern Bible PERversions make this awful change. Here is the precious, inspired and accurate King James Bible . . .
Now here is the butchered and corrupt NIV . . .
And here is the corrupt Easy-To-Read Version (ERV) . . .
What a horrible perversion to the Scriptures! To understanding how horrible this change is, you need to understand the context of the Scripture passage. Jesus had just made a blind man to see by spitting into the dirt and putting clay upon the man's eyes. The man had been born blind. Jesus miraculously healed the man so that God would be glorified. Afterwards Jesus found the man, who had been kicked out of the synagogue by the Jewish religious leaders. Jesus asked the man if he believed on the Son of God? The man said “yes” and worshipped Jesus!!! Here's the full text from the accurate King James Bible . . . Carefully notice that Jesus asked this man, whom He had healed of blindness, “DOST THOU BELIEVE ON THE SON OF GOD?” The corrupt modern revisions from Alexandria, Egypt, change it to “Son of Man.” Why would Jesus ask the healed blind man if he believed in, THE SON OF MAN? Clearly, this attestation of Jesus' own Deity greatly offended Origen and Clement, the two atheist fathers of the modern Bible revisions. Anyone who denies the Deity of Jesus is effectively an atheist. Shame on the wicked pastors today, who've repeatedly been warned about the corrupt Alexandrian Bible revisions (which includes just about all modern revisions), but simply don't care. They are serving mammon and not God. They errantly think they are going to be rewarded in eternity, but they are going to be horrorified when that time comes. NOTE ON ORIGEN: Adamanchus Origen (185-254 AD) - Took over after Clement as president of the Catechetical School in Alexandria. The Devil was his father. A hateful enemy of the Bible. The most influential religious figure of his generation. He produced a 6-volume Bible. He changed all he disagreed with, like creation. You can find this information in a good public library. Origen described the Trinity as a hierarchy, not as an equality of Father, Son, and Spirit. Origen wrote many books. One being “The Logos Doctrine,” attacking the deity of Christ. For my complete notes on the subject, as taught by Dr. Al Lacy, please CLICK HERE. According to John 20:31, the Gospel of John was written to convince humanity that Jesus is the Christ, “the Son of God,” so that by believing on Jesus anyone can be saved . . .
Why, Oh why!, would anyone tamper with the all-important message of the Gospel of John? Jesus asked the man if he believed on “the Son of God,” not “the Son of Man”!!! I'm the son of a man, but only Jesus is the only begotten Son of God (which is the plain implication of the Lord's question to the blind man). Most people believe that a man named Jesus once existed in the flesh, but very few people believe that God came in the flesh (1st Timothy 3:16; 1st John 4:2). Jesus didn't ask the healed blind man if he believed “in” the Son of God. No, rather, Jesus asked the man if he believed “on” the Son of God. That's salvation! Christ died, that's history; Christ died and raised up for me, that's salvation! John 1:12, “But as many as received him, to them gave he power to become the sons of God, even to them that believe on his name.” John 6:29, “Jesus answered and said unto them, This is the work of God, that ye believe on him whom he hath sent.” The healed blind man believed on Jesus as the Son of God and was saved eternally. 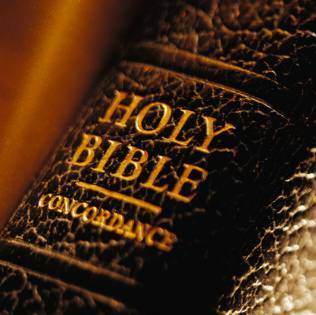 There have been approximately 900 English translations of the Bible since the 1611 King James Bible!